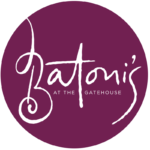 For four years now Adrian Rusan and and his dedicated team have been serving award winning food combined with the highest levels of service in the cozy and intimate surroundings of Batoni’s at The Gatehouse. We invite you to join us to sample our food and service and assure you of the highest level of attention at all times. The essence of each dish is in the detail and the consistency and combination of flavours, whether a simple pasta dish or desert, enriched with the addition of herbs and edible flowers, or our more elaborate, complex fish and meat dishes. Located in the quiet village of Emo, County Laois guests have commented that to travel here adds another level to the experience. We look forward to welcoming you and please do not hesitate to contact us with any queries or special requirements you may have. Christmas is a time for dining with family, friends and business colleagues and what better way to show appreciation for the special people in your life than a meal out together. 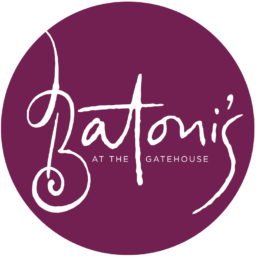 This year because of demand we now make it possible for you to send the gift of dining at Batoni’s from anywhere in the World. At check out you can choose between having gift vouchers sent to your address or sent on your behalf to the lucky person of your choice. Call us with any questions you may have.